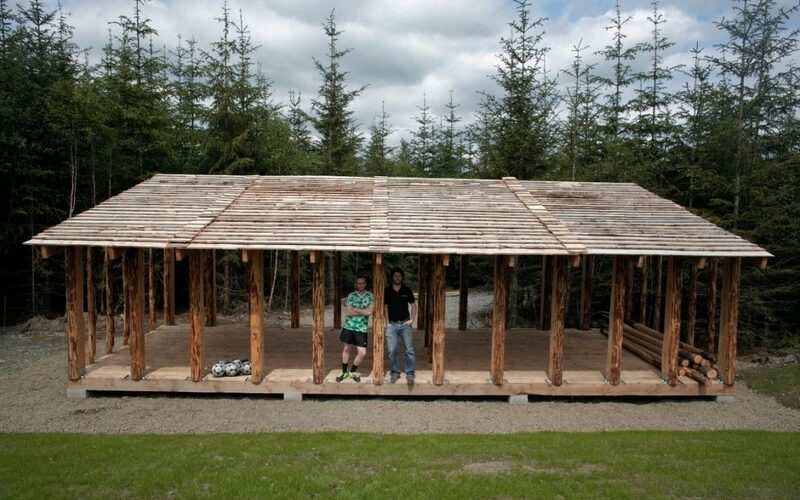 Caledonia Log Homes constructed a changing room for two teams for a one-off football game located in a remote Borders forest. “Forest Pitch saw the creation of a full-size football pitch in the middle of a Spruce plantation in the Scottish Borders. The site was used as a football pitch for one day, before being left to grow back and be reclaimed by nature.